Does hypnosis work for anxiety? Dental Anxiety: Do you suffer? Dental anxiety, or the fear of visiting the dentist, is more common than you might think. It is estimated that around 12% of the British population experience extreme fear when visiting the dentist. 25% of us will experience some sort of anxiety at the prospect of a trip to the local dental surgery. Whatever the cause of your dental anxiety, Hypnotherapy, Emotional Freedom Techniques (EFT) and Neuro-Linguistic Programming (NLP) can all help you. They work very effectively to eliminate phobias; resolve bad memories; and calm and relax dental patients. These techniques are powerful antidotes to fear, panic, and anxiety. 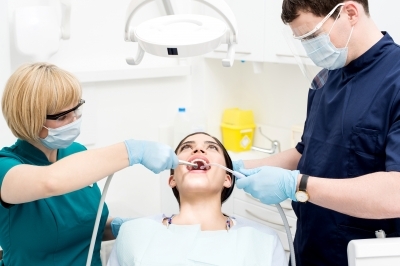 Some patients even get anxious at the thought of making an appointment with their dentist. Relax! Be gentle on yourself and take one step at a time. Speak to your local hypnotherapist directly and find out how they can help those fears melt away. A number of studies have shown that relaxation techniques can help reduce levels of stress hormones as well as pain and anxiety so, until you see the hypnotherapist, here’s a tip to help calm you in the meantime. Find yourself a place to relax; take a deep breath and as you exhale say to yourself ‘relax’. Now, as you settle down and your breath becomes regular, mentally count how long it takes you to naturally breathe in. Then as you breathe out try to double the length of time for your out breath. So, if you counted to 2 on your in breath try and extend your out breath to a count of 4; if you counted 3 on your in breath extend your out breath to a count of 6, you get the idea? It might take a little while to get the hang of it but be gentle with yourself. With a little practice you will find that you start to feel comfortably relaxed. In fact I’ve taught this technique to many of my clients who have difficulty falling asleep and it works like a dream! In time, and with regular practice, you’ll find you’re able to introduce a little oasis of calm into your life by using this breathing technique when you feel a little bit stressed. ← Is a fear of flying keeping you down? Thank you Heather for helping me to stop my nail biting habit. As you know, I have been a nail biter for as long as I can remember. I have never had any nails and would bite them continuously. Now, after one successful session with you, I have managed to not only grow my nails but my fingers do not find themselves in my mouth as I would often find without realising. I do not hide my fingers anymore and I enjoy spending time painting my nails and caring for them. I would recommend Heather to anyone. Heather makes you feel comfortable and relaxed. After my hypnosis session I also felt energised and uplifted. Thank you again for your help!